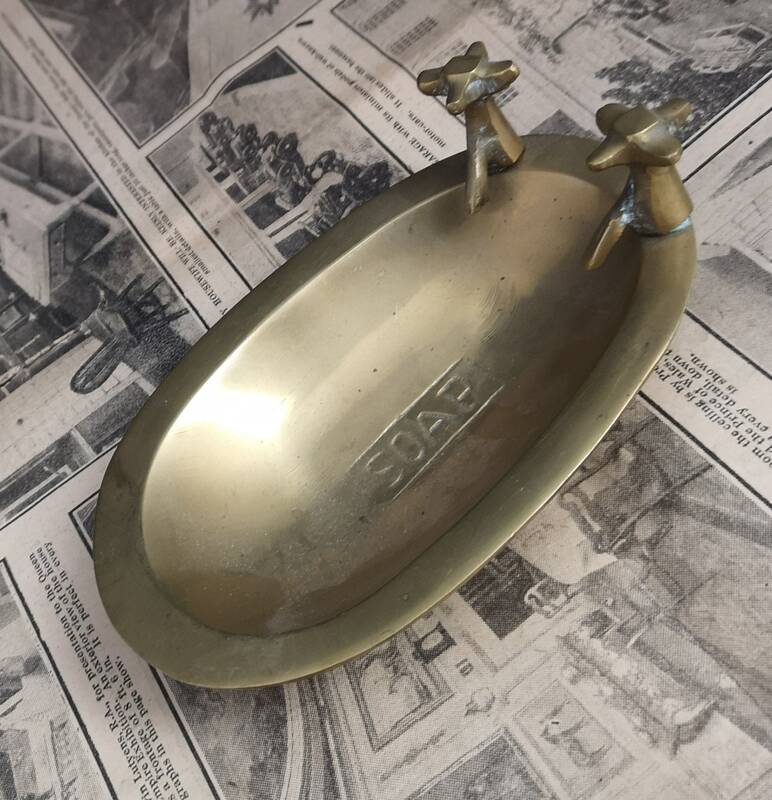 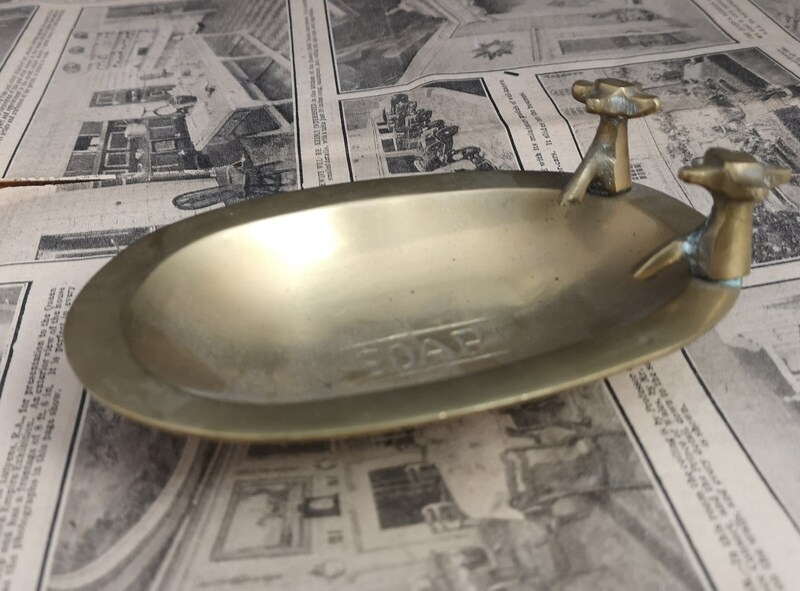 A charming vintage brass soap dish designed as a miniature bath. 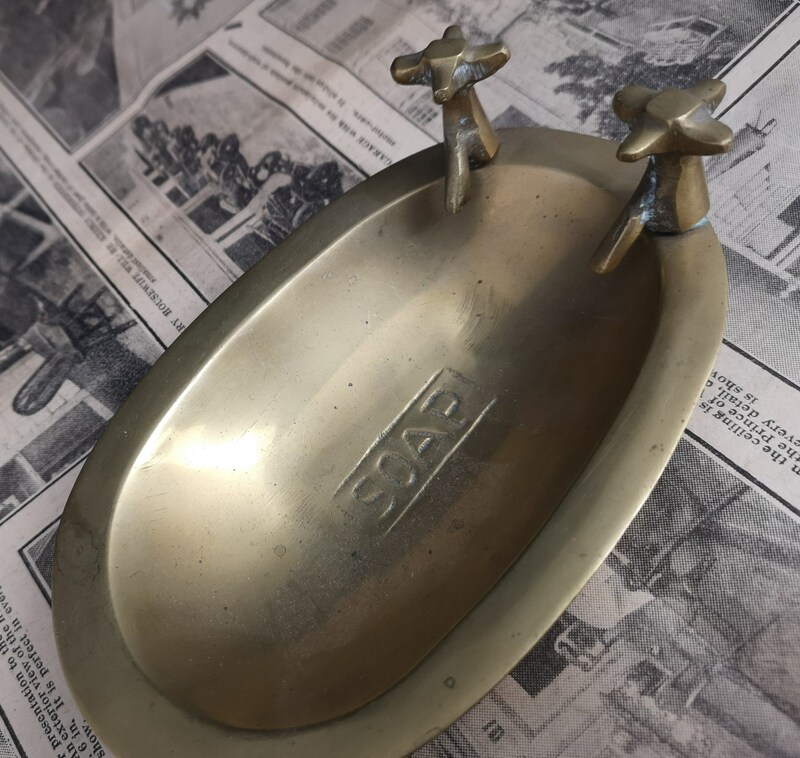 Late 1950's it has a rustic yet novelty feel to it and would blend with a multitude of decor styles. 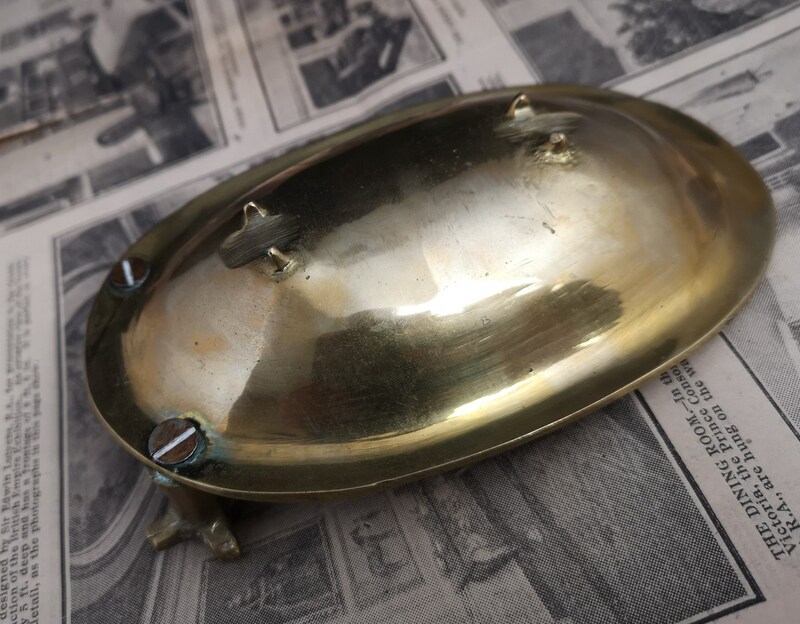 Made from solid brass, nice and weighty. 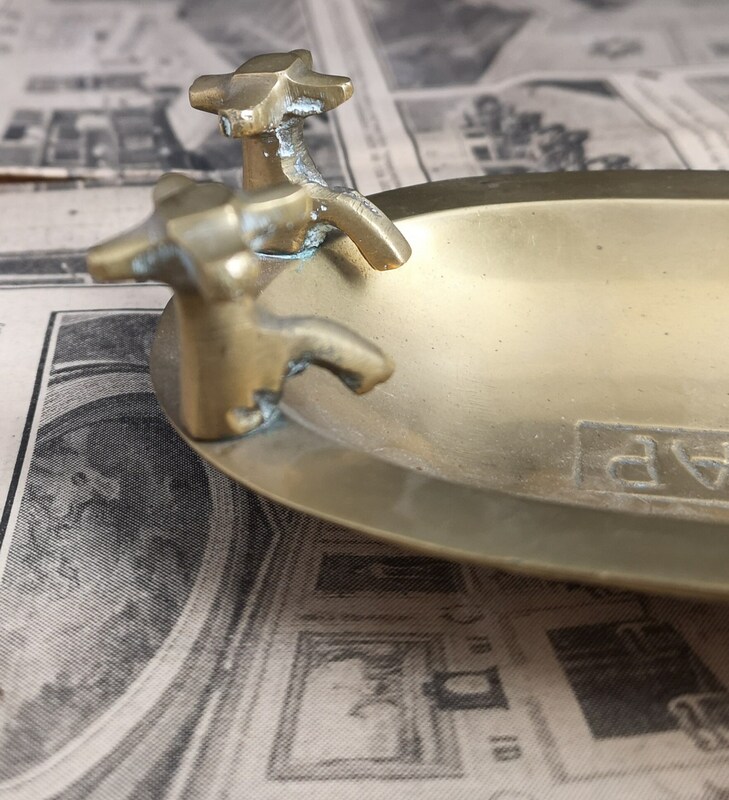 It is ever so slightly raised with realistic taps and the word soap embossed on the inside. 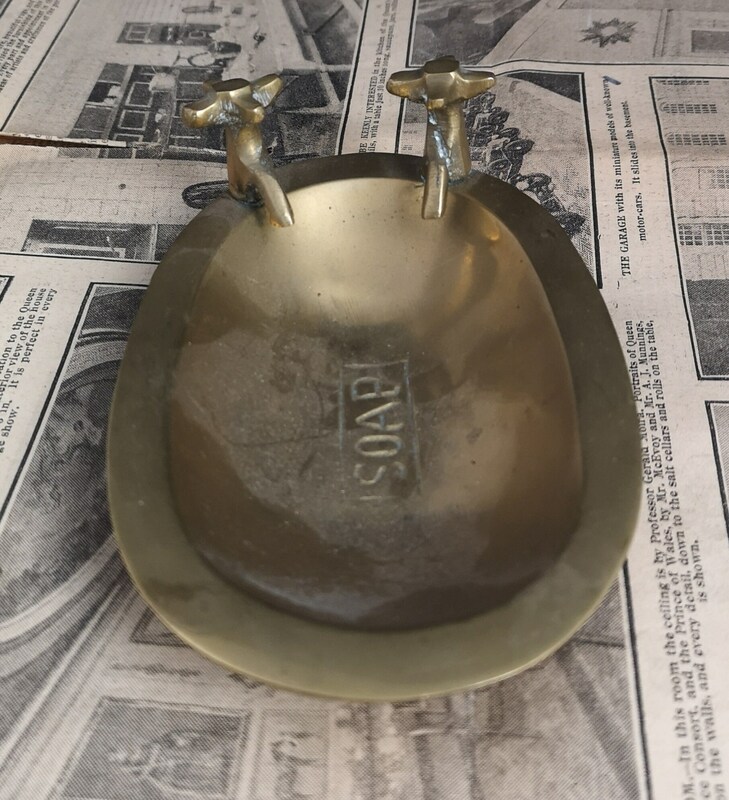 Good condition, age commensurate wear, some verdigris on the taps. 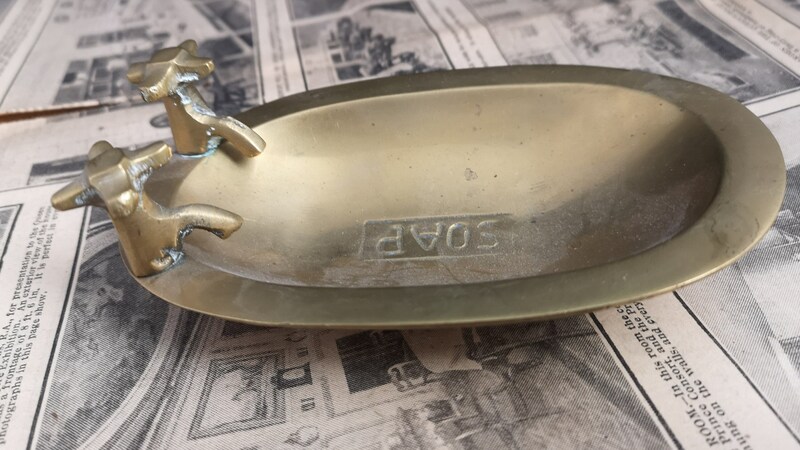 Approx 5.5" length, 3.5" width and 2¼" height.